These Baitfeeder Style Reels are becoming more and more popular among ice fisherman for deadstick and Tip-Up applications. The rear ‘baitfeeder’ switch acts as a second drag which allows the reel to almost free-spool with the bail closed. 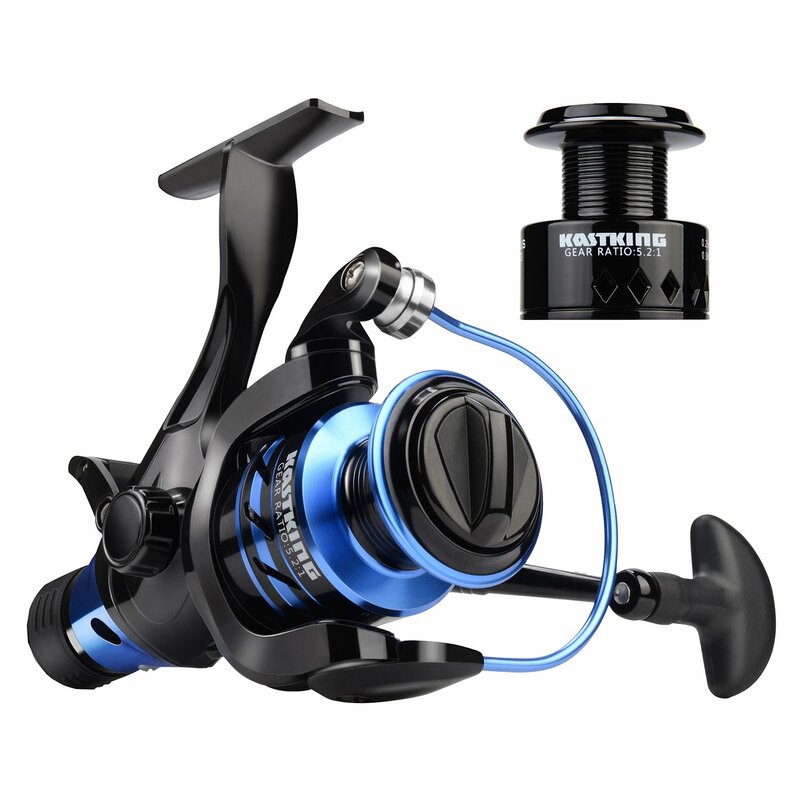 MINI REVIEW: We bought one of the KastKing Pontus Baitfeeder Reels to compare it to the popular Okuma Avenger Baitfeeder and it stands up incredibly well. We liked the rear baitfeeder switch on the Pontus better, it has a higher max drag and wider range of adjustment/variability. However the front drag is a bit sticky and lacks fine adjustment. If you’re looking for a good jumping off point on a baitfeeder check out this wallet-friendly option (you can always upgrade later). It also comes with a spare spool, the Okuma doesn’t. Own and use a KastKing Baitfeeder Reel? Take advantage of this Ice Fishing Deal? Give us your two-cents in the comments below. Posted on January 29, 2019 by IFDPosted in All Deals, Rods, Reels, & Tip UpsTagged baitfeeder, baitfeeder tip up, baitrunner, dead stick, deadstick, kastking, kastking baitfeeder, kastking pontus, KastKing Pontus Baitfeeder Reel, kastking sharky, KastKing Sharky III Baitfeeder Reel, pontus, sharky, sharky iii, Tip up.